The latest addition to our 100 greatest individual television episodes, as chosen by Gerry McAuley. 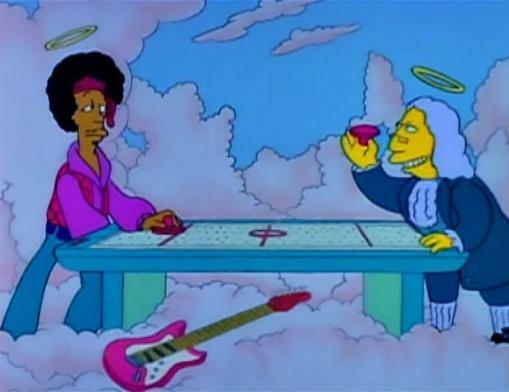 Homer the Heretic makes The Simpsons the first series to have two separate entries into our list! One of my criteria for greatness in the arts is timelessness. I don’t think I’m alone in that. Now, that isn’t to say that you can only call something great if it’s been around for a long time; sometimes you just know instantly that something is so amazing that your grandkids could watch it* and, while they may not get the same experience as you did given the different cultural environment, there’d still be something tremendously valuable about it. In this case, it’s that the episode is still brilliantly funny and simultaneously tells us something interesting about the culture of its time. Who knew he could say something that wasn’t entirely stupid, eh, current Simpsons writing team? 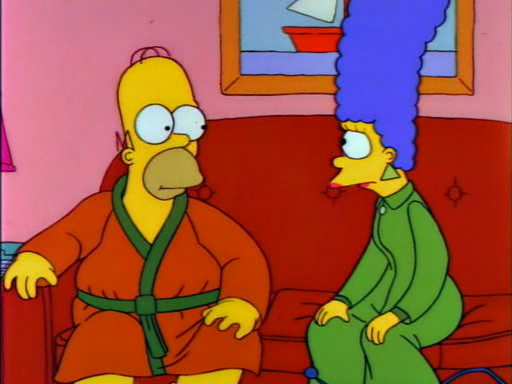 For the handful of people whose lives have somehow led to them being able to read this article online but not having seen this episode, here’s the story: one freezing morning, Homer decides to stay in bed rather than go to Church. He enjoys it so much that he decides to stop going to Church altogether, incurring the wrath of Marge and causing various concerned Springfield citizens to try to bring him back into the fold and see the error of his ways. Homer’s joy at having the house to himself is something I think we can all relate to and, while we may not all enjoy his patented space age out of this world moon waffles, I’m fairly confident we’ve all enjoyed some of the activities he does when home alone. The Simpsons is brilliant at making movie references and the Risky Business reference is actually one of the most obvious. It is, however, sure to bring a smile to your face. They also riff on the previous year’s Backdraft, finding comedy in the classic cinematic trope of the heroic rescue. This is The Simpsons at its most bold. 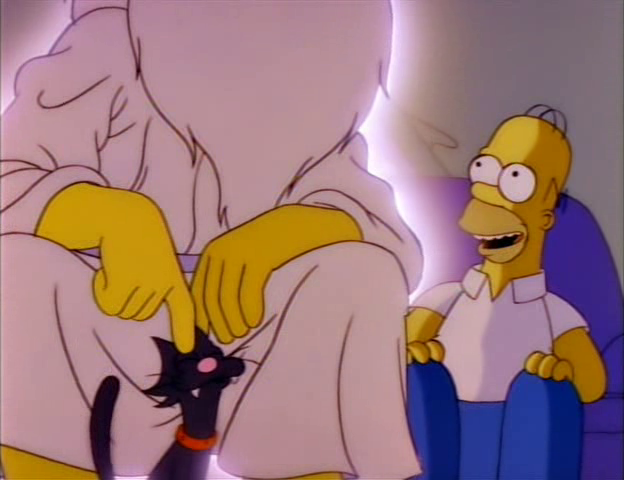 To actually depict God, in physical form, appearing in dreams and chatting to Homer is quite ‘out there’, especially in the good ol’ US of A. To show God as an ordinary guy at heart (“You know, sometimes even I’d rather be watching football”), mocking certain aspects of religious beliefs (“Now if you’ll excuse me, I have to appear in a tortilla in Mexico”) – that really takes some stones. Meyer was brought up Catholic but became an atheist and the combination of detailed knowledge and devastating criticism here is perfectly balanced. The episode drips with quotable, funny lines.There’s a very fine line to tread when dealing with multiple religious groups and managing to poke fun at Christians, Jews and Hindus (or “miscellaneous” as Reverend Lovejoy calls them) without really annoying them massively is an impressive feat. The resolution, with its message that we’re all human no matter your religious beliefs, chimes with God approving Homer’s decision to worship in his own unique way. Meyer and his team manage to provide a ‘message’ that can be interpreted in multiple ways by different audiences and thus keep everyone laughing and largely unoffended. This episode has everything that makes the show great: bags of humour, thought-provoking social commentary and satire, an insightful depiction of family life and a remarkable likeability even when characters seem to be acting selfishly. Episodes like this are also significant in that they laid the ground for shows like South Park to really tear into things that people hold dear. A much more delicate and family-friendly balance than that is struck by The Simpsons team at the height of their powers; sadly, they don’t replicate such highs these days, but at least we have the memories. Or should I say, at least they show the classics on TV on a regular basis so we can keep enjoying them. As I say, I have every intention of still laughing like a lunatic at this episode with my grandchildren many years from now. *The caveat being that some truly great shows might be a bit uncomfortable to watch with your grandchildren, no matter how old they are. Like Game of Thrones.